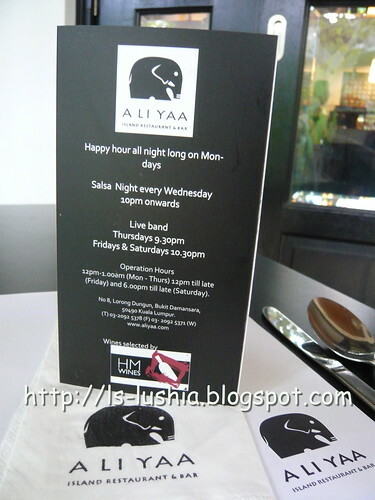 Aliyaa Island Restaurant & Bar is more like a place to chill out with all kind of alchoholic drinks as well as non alcoholic drinks. But, they do serve authentic Sri Lankan food too. It's a restaurant & bar that operates in a bugalow with simple and yet elegantly decorated interior. Definitely, a perfect place with comfortable environement to dine in. Some information to share- if you would like to spend 3 days dining at this area, at the left of Aliyaa Island Restaurant & Bar would be The Courtyard Garden and at the right of it is the Jarrod & Rawlins, 3 different restaurant operating in 3 different bungalows. Eateries neighbourhood?? 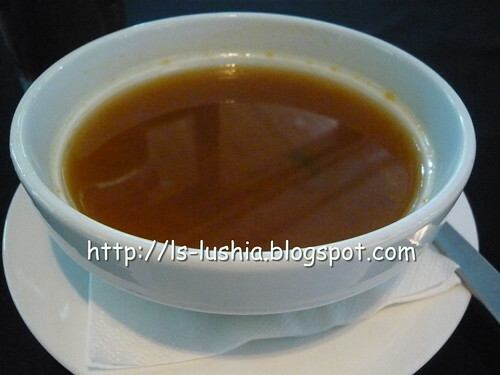 A famous Indian soup, which is believed to be originated from Southern India. Commonly serve by most of the Indian restaurants. Not as spicy as expected but sour enough, it's a tease for the taste buds. Kiribath- coconut milk triangle rice served with spicy curry chicken @ RM 18.00 (The Sri Lankan Nasi Lemak). The coconut milk triangle rice comes with half fried boiled egg , katta sambol (pounded maldivian fish flakes, dried shrimps, shallots, chillies & chilly powders fried till dry), seeni sambol (sambal with sweet onions and jaggary sugar) and pounded green bird's eye chilli pepper (cili padi) mixed with lime juice. All of the 3 spicy condiments tasted real good for me. 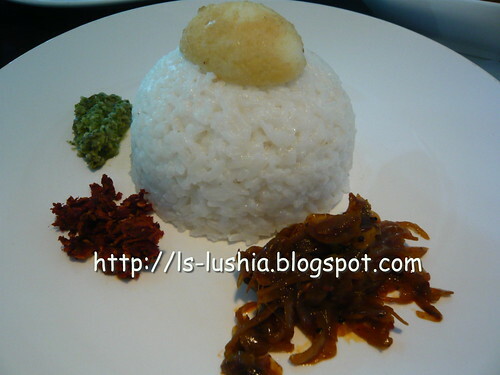 As for the rice, it is a bit different from our Nasi Lemak. The rice is prepared with very thick coconut milk and it's a bit wet when served. The curry tasted different. 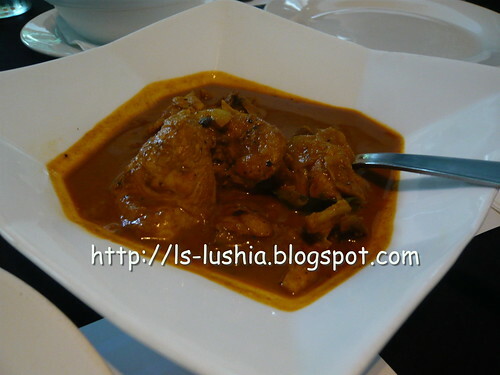 Thick and rich curry gravy with slight taste of coconut milk. Tasted rather good for me.I guess it's prepared with some spice and a little bit of butter? Abbi is the Elephant in Chief (Owner) of the business. As stated in the menu, Appam Galore is one of Abbi's favorite and we have decided to give this a try. 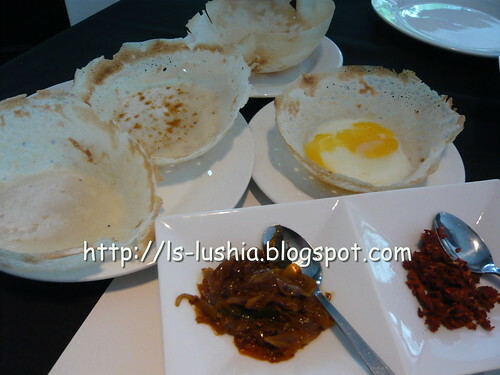 Pick your choice of 4 appam (plain, broken egg or sweet coconut milk) served with katta sambol (spicy maldivian fish) and seeni sambol ( sweet onions and jaggary sugar). Definitely not a filling meal and I would say , it is unique to be served in this way but taste wise, it's just alright! A Sri Lankan egg dessert, also known as coconut creme caramel. 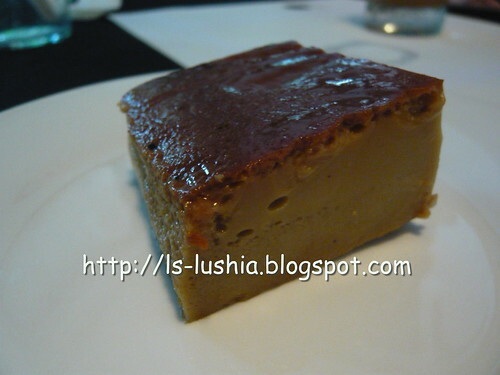 Not really sweet but the fragrant of the jaggery sugar mixed with coconut milk makes the dessert an outstanding one. 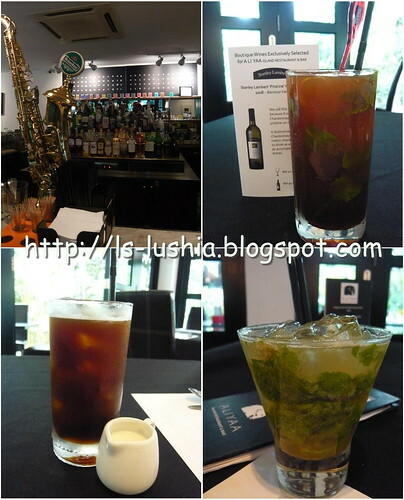 In Aliyaa, there are over 50 choices of single malk whisky collection. Wanna get drunk? Some spicy food with gallons of alcohols might help! By the way, their signature dish - Sri Lankan Crab! Do try!